Truro Cathedral | Cornwall For Ever! Truro Cathedral is the principal church of the Diocese of Truro within the Church of England. The cathedral building incorporated the Parish Church of St Mary, a place of worship since at least 1259. Truro Cathedral is located at High Cross in the centre of Truro. The boundaries of the diocese include the whole of Cornwall and the Isles of Scilly, plus two parishes in Devon. The cathedral is the centre of the Church of England in Cornwall. The rapid growth of non-conformist Christian movements like Methodism during the 1800s caused concern within the Church of England and may have inspired the building of the cathedral. It’s not known when Christianity first arrived in Cornwall. In 597AD, Pope Gregory the Great sent Augustine and 40 missionaries from Rome to Britain. They discovered that there were differences between the Christian practices of Rome and those in Britain, for instance the date on which Easter was celebrated. Distinctive practices continued in southwest Britain until the area came under the influence of the emerging English (Anglo-Saxon) Church, which created dioceses and parishes as it grew. A diocese or ‘see’ is a geographical grouping of parishes under the care of a bishop and these areas often reflected earlier boundaries. In 909AD, the Diocese of Crediton was created out of the Diocese of Sherborne to cover Devon and Cornwall and in 926AD King Athelstan gave St Germans, near Saltash, a cathedral. By 1050, the diocese was moved to Exeter and a cathedral was built there. The diocese stayed the same through the upheavals of the Reformation and the creation of the Church of England until 1876, when the Cornish Diocese was re-established. This decision was partly a response to the fast growth of non-conformism. The 1851 census revealed that although around half of Cornwall's population (174,611) were attending churches, only around a quarter (47,555) were attending Anglican churches. The majority, nearly two thirds (113,520), were attending Methodist chapels, with other types of chapels making up the rest. The clergy found these figures alarming and the building of the cathedral may have been an attempt to increase awareness of the Church of England in Cornwall. The diocese includes the whole of Cornwall and the Isles of Scilly, along with two parishes in Devon. There was much debate over where the cathedral should be located. In medieval times, Bodmin had been the religious centre of Cornwall, while the original Cornish See of St Germans also put forward a claim. Eventually the site of the Parish Church of St Mary’s in Truro was chosen, which had been in use as a place of worship since at least 1259. The cathedral architect, John Loughborough Pearson, incorporated the parts of the old parish church into the new building. Truro Cathedral was the first cathedral to be built on a new site since Salisbury was started in 1220. For over 650 years no one had tried to mirror the great cathedral builders of the medieval era, and the builders of the cathedral used modern techniques to create a similar style. Edward White Benson became the first Bishop of Truro in 1877 but the cathedral was not opened until 1910. The Diocese of Truro covers an area of approximately 1,370 square miles. 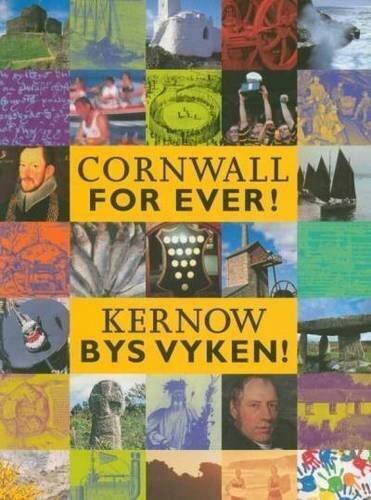 It includes over 300 churches in more than 200 parishes in Cornwall, the Isles of Scilly and Devon.